I am facing some errors using MATLAB MOBILE 1) I want to run a file on my mobile using MATLAB Mobile and there is uigetfile function in the file. When I run that file it gives me an error. How Can I solve this error? Any alternative of uigetfile which will work on Matlab mobile? 2) Can I run GUI file in mobile using MATLAB Mobile? 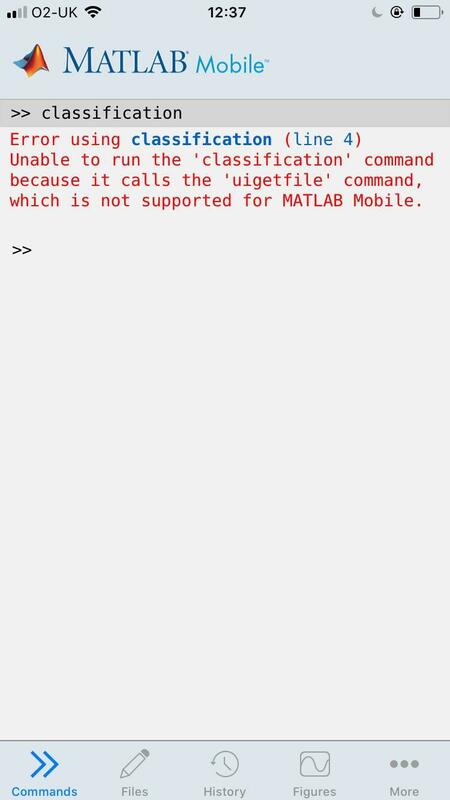 1) uigetfile is not supported in MATLAB mobile. You can use any Data Import and Export functions.